Proud. Cunning. Battle-hardened. Lord Sebastian Gresham is the epitome of military might and excellence. He's wealthy. The son of a Duke. There's just one problem: he can't read. It's those damned words. He doesn't see them in the same way everyone else does. It's a secret he'll never tell, certainly not to his new bride-to-be. Brilliant. Witty. Beautiful. 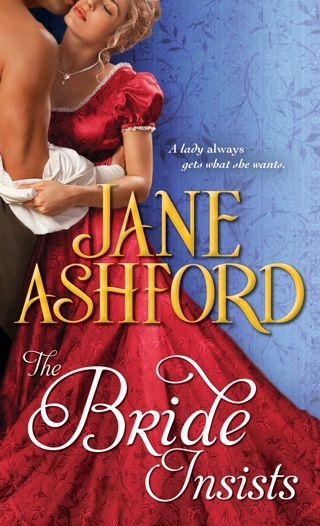 Lady Georgina Stane has always known she'd make the perfect bride, that is, if her eccentric family didn't scare off every potential suitor from London to Bath. After carefully orchestrating a London season with her parents out of the picture, she secured an engagement to an impeccable gentleman. And when Lord Sebastian arrives at her family's estate to meet her parents, she's not about to let their antics ruin her perfect marriage. But what happens when these two learn that some secrets aren't so easy to keep? 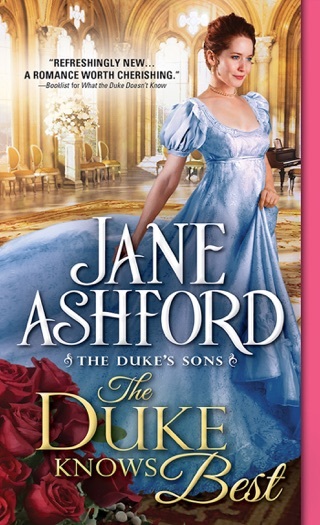 Ashford's third Duke's Sons Regency (after What the Duke Doesn't Know) introduces more delightful characters who feel appropriate to the period while dealing with challenges that resonate with the modern reader. She seasons the story with plenty of teasing brotherly warmth and good-natured hijinks in the name of love. Soldier and self-proclaimed dullard Lord Sebastian Gresham travels to the country home of his clever betrothed, Georgina Stane, and is welcomed by her distracted mother's roving pack of pugs, an elegant guest from India brought in to indulge her father's current obsession with reincarnation, and two younger sisters intent on pushing Georgina and Sebastian's wedding date up in the hopes of a quicker escape to their sister's future London household. Sebastian navigates the challenges of the Stane family with ease but fears humiliation if Georgina and her family discover that he cannot read. 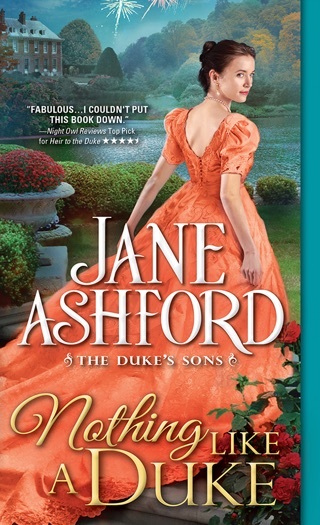 Ashford's vivid characters and lively plots that drop surprise adventures in the midst of courting give the series a spirit of fun. The underlying message, that quirks and struggles should be no impediment to familial or romantic love, is conveyed with warmth and tenderness. Sebastian Graham is a brilliant strategist on the battlefield, but completely out of his element in society and libraries. For years he has struggled to hide his difficulties with reading and deciphering the written word, but hand him a battle plan overview and he’s everyone’s golden boy. He’s convinced that if the woman he is utterly in love with discovers this secret, he’ll lose her forever. Georgina Stane is gorgeous and bright, and fortunately her family is rich enough to be considered eccentric rather than utterly crazy. For they are – wholly unconventional and outrageous. Two terrible parents who veer wildly from utterly absent to so present and imposing that one can see how Georgina is able to accept a bit of ‘unusual’ in her life. And then as a couple – I had real issues. This story is overburdened with too many characters, al placed for one or another reason that may have been in earlier books – but completely unfathomable reasons here when we consider the plot moving forward, and I would have much preferred more dialogue between the two. Their connection, physically, was problematic, as their sensual scenes felt awkward and hesitant. In my opinion, the story would have been better served with the removal of those scenes, as they are written as if the author is uncomfortable, and would have preferred to leave them out. There wasn’t a ton of emotion in here unless one considers Sebastian. He was struggling and moving on, trying to find compensations for what would now be diagnosed as dyslexia, and he’s still determined to be kind, protective, and happy in spite of those worries. It just wasn’t a book that carried a flow for me, making the story a bit more difficult and longer to read. With humor that comes more from the antics and behaviors of others that borders on crazy unrealistic, this is a story best enjoyed by those who enjoyed earlier titles in the story to have some background on the ‘events in London’ that appear to have such an influence on the couple.